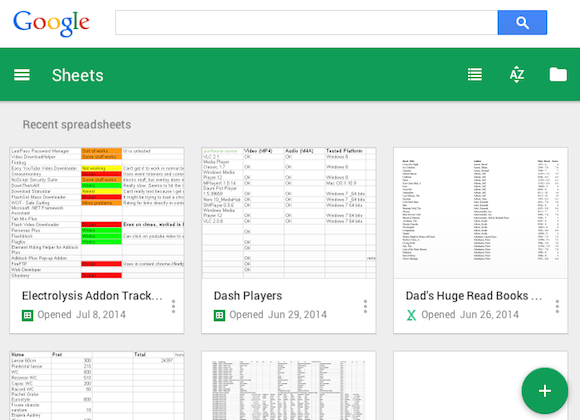 Google already started to roll out the new desktop home screens for Google Docs, Google Sheets and Google Slides. They're available at drive.google.com/document, drive.google.com/spreadsheets, drive.google.com/presentation. If these links create new files, then you can't access the new sites yet. 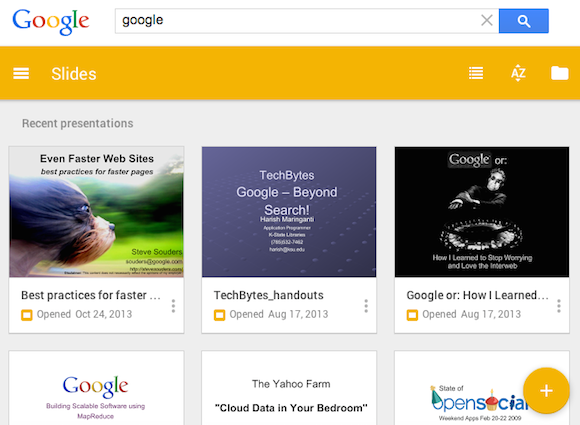 The goal is to provide a desktop counterpart to the mobile apps. You can quickly switch between the desktop apps using the navigation menu and you don't even have to visit Google Drive to create a document, open a document or remove it. 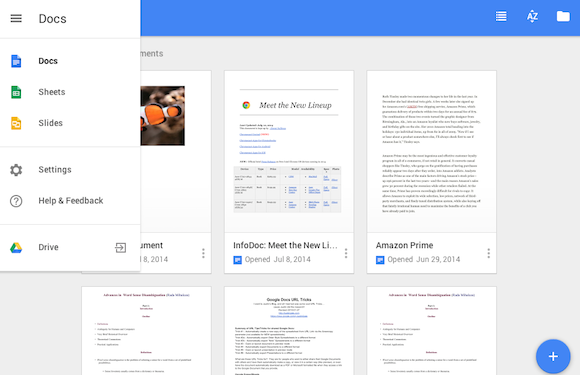 Google shows a grid of recent documents, but you can also switch to the list view and choose a different sorting option. Folders are only available in the file picker dialog. 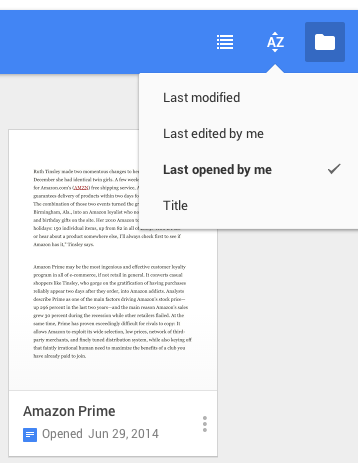 The new home screens provide few file management options: you can only rename or remove files. They're mostly useful for quickly opening a recent document, spreadsheet or presentation. All the desktop apps uses a sticky round button at the bottom of the page that lets you create new documents, spreadsheets or presentations. The Material Design button is already used by some of Google's mobile apps and will be added to many other Google apps in the near future.